Public corporation "Mikhnevo Repair and Engineering Works" was founded in 1953. It is a Russian company that manufactures and repairs road-building machinery. The company also supplies industrial equipment and spare parts for tractors as well as road-building machinery and equipment for community services. In the year 2003, the company will celebrate its 50th anniversary. Since its founding in 1953, the Works has been actively expanding. During its first 50 years in business, the company has developed and implemented new machinery models and has increased its production as well as its personnel's wages. Every year, more than two thousand companies and organizations become our new clients. Mikhnevo Repair and Engineering Works offers a wide range of road-building, excavating and special equipment as well as machinery for community services (i.e., tractors, excavators, loaders, ditch-digging machines, dewatering plants, bulldozers, pipe-laying machines, portable welding units, drilling and crane machines, and truck-mounted cranes). equipment: fans and smoke exhausters, hoisting gear, cable connectors, pumps, low-voltage equipment, heating equipment, welding equipment, lighting equipment, machine tools and instruments, transformers and stabilizers, electric motors. We provide major overhauls of tractors, bulldozers, loaders and excavators, machinery for community services, drilling machines, trenchers, pipe-laying machines. We also repair D-108, D-160, D-180, YaMZ-236, YaMZ-238, D-245, D-240, D-65, SMD-14 and SMD-18 motors, starting motors, engine fuel pumps, reduction gearboxes for tractors. 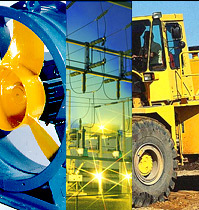 Suppliers of a wide range of spare parts for tractors, road-building machinery and equipment for community services: motor graders, drilling and crane machines, combines, machinery for community services, combined road-making machines, loaders, tractors, agricultural machinery, snowplows and excavators.